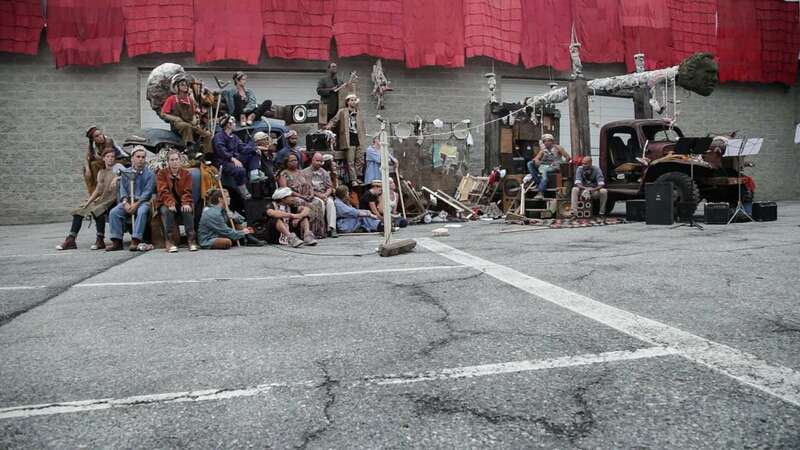 Fit The Battle - Trailer from Bradly Dever Treadaway on Vimeo. 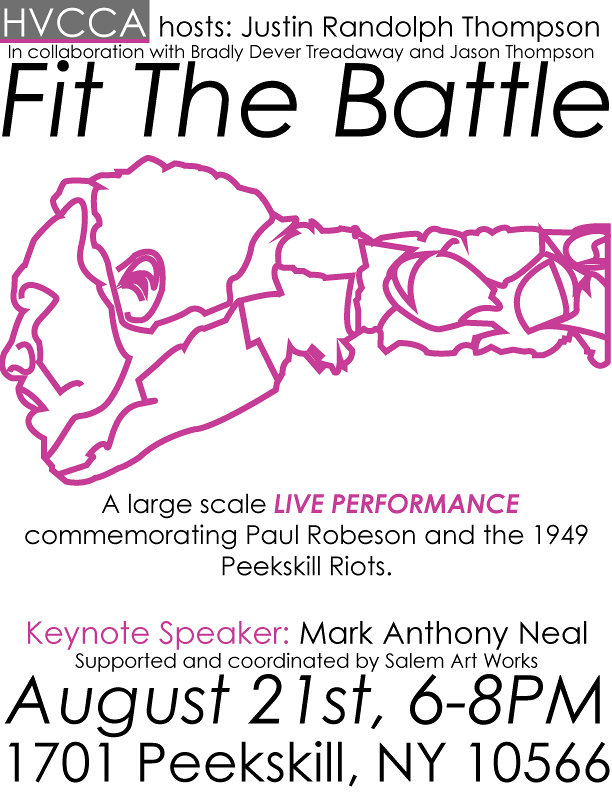 Fit the Battle is a performance and commemoration created for Peekskill, NY that honors singer, Civil Rights activist, actor and athlete Paul Robeson and his celebrated baritone voice. 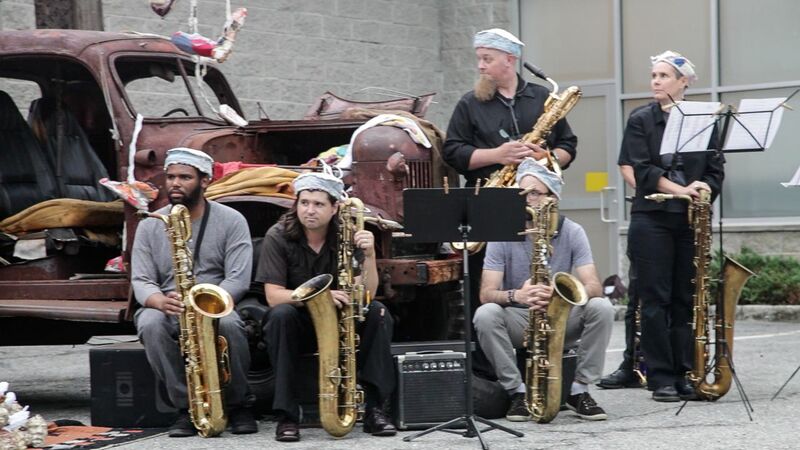 The piece uses monumental sculpture and a mass gathering of Baritone Saxophones to immortalize the fervor and spirit of this critical figure of American history and his global reaching vision of unity. 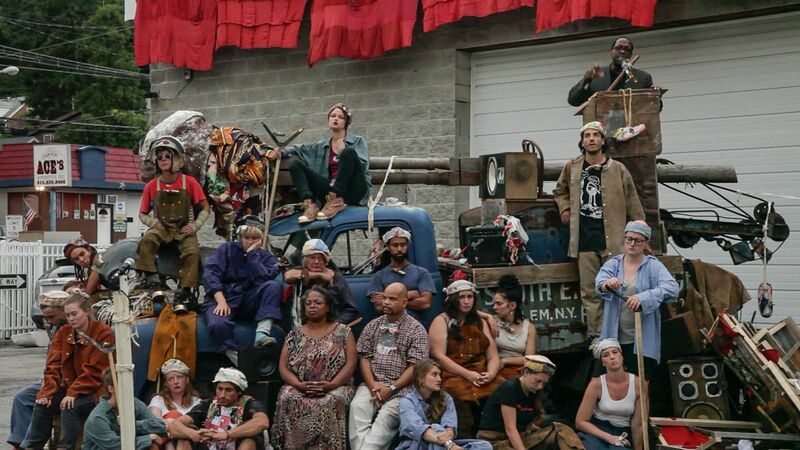 The industrial past of Peekskill and the cultural diversity of its population echo the cry for solidarity of working people that Robeson voiced with eloquence and determination. 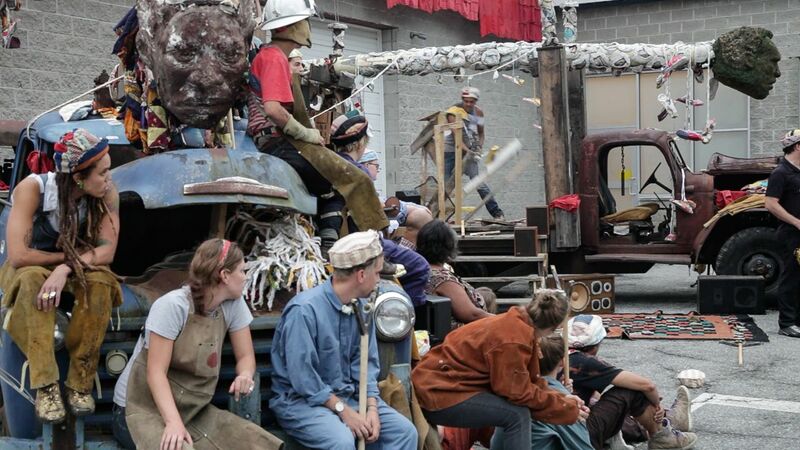 This project seeks the power of community to become a temporary monument. 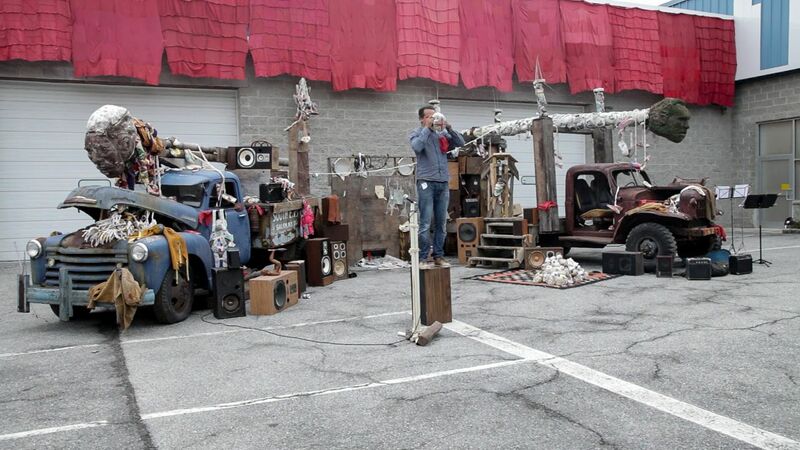 The project is directed by Justin Randolph Thompson in collaboration with Bradly Dever Treadaway and Jason Thompson.The work is supported and coordinated by Salem Art Works. 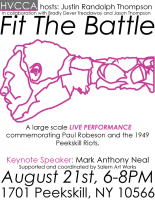 Distinguished Scholar Mark Anthony Neal delivered a keynote speech as a part of the performance.